The Collegiate Hotel is where Southern comfort meets Southern style to celebrate history, hospitality, and cherished traditions. The Collegiate Hotel is nestled across from Auburn University’s campus in Wittel Hall, a former women’s dormitory undergoing a multi-million-dollar renovation. This historic property was built in 1940 with additions made after World War II to house Auburn’s burgeoning enrollment of female students. The Collegiate is now one of the many hotels in Auburn where parents, future students, and travelers stay to visit the University. At The Collegiate Hotel (or call her by her nickname, the CoHo) friends and family gather in spaces as unique as our traditions. 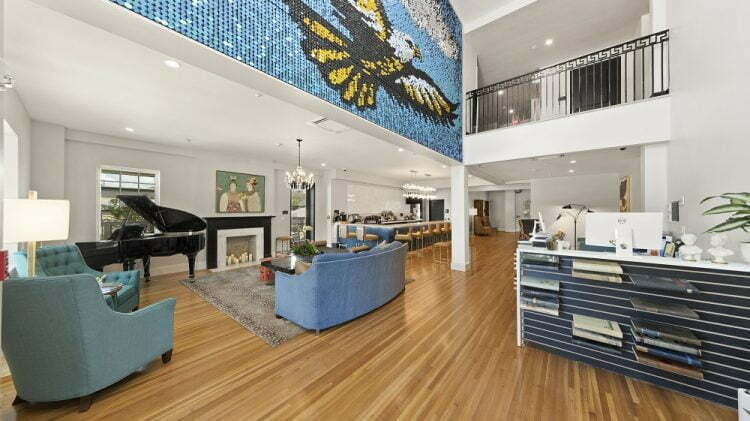 Stay in one of the hotel’s luxurious, eclectic rooms that celebrate southern art and style while you visit Auburn. Meet in the historic hotel lobby and step back in time into Auburn’s first elevator. Order a craft cocktail from the Wittel Bar and relax on our wrap-around porch, soaking in vibrant views of college life. 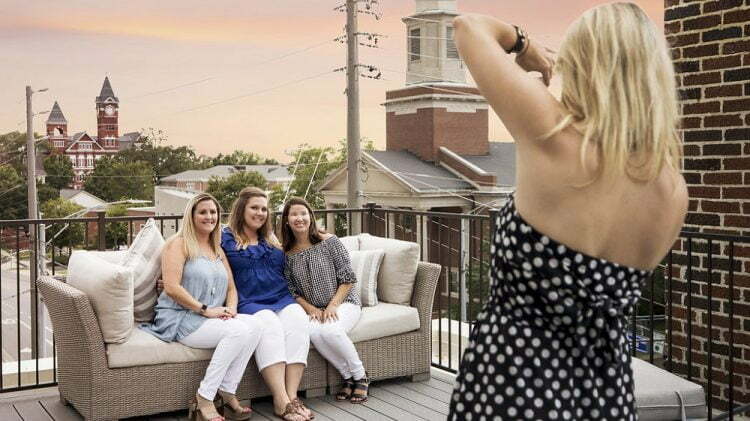 Finish with eagle-eye views of Auburn’s iconic skyline from our hotel’s rooftop bar. 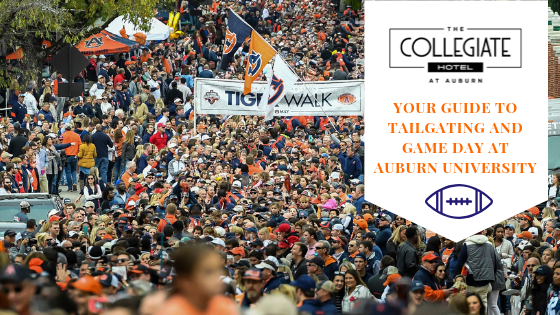 The Collegiate Hotel is your place to stay in the heart of Auburn. With our hotel’s location near Auburn University’s campus, use our complimentary valet service and leave the parking to us. Just one block from Toomer’s Corner, walk to quaint shops and dining with plenty of time left to squeeze in a lemonade or two. 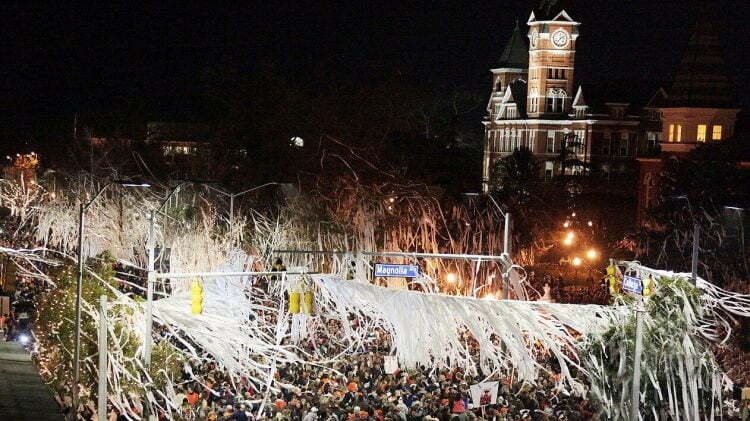 We are only steps away from the best things to do in Auburn. If your stay wouldn’t be complete without your pets. The Collegiate welcomes the furriest members of your family with pet-friendly rooms and amenities. You won’t find any other Auburn, AL lodging quite like ours. It’s official, the Wittel Dorm is being transformed into The Collegiate Hotel at Auburn, a new 40-room boutique hotel near Auburn University. We welcome you to follow our journey! Luxurious amenities, attentive staff, and personalized service will create a relaxing, one-of-a-kind experience at one of the best places to stay in Auburn. You’ll arrive as a guest, but leave as family.